Lovely Internetz! 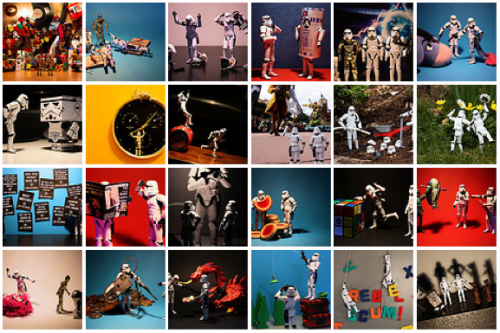 Ein Mensch hat 365 Mal Star Wars Stormtroopers Action Figuren fotografiert! Und was kam heraus? Der helle Wahnsinn! Look at this! Its amazing! This entry was posted on Dienstag, April 6th, 2010 at 20:57 by Jens and is filed under Großes Kino. You can follow any responses to this entry through the RSS 2.0 feed. You can leave a response, or trackback from your own site.